The Sociology Book takes on some of humankind's biggest questions: What is society? What makes it tick? Why do we interact in the way that we do with our friends, coworkers, and rivals? Easy to navigate and chock-full of key concepts, profiles of major sociological thinkers, and conversation starters galore, this is a must-have, in-a-nutshell guide to some of the most fascinating questions on earth. 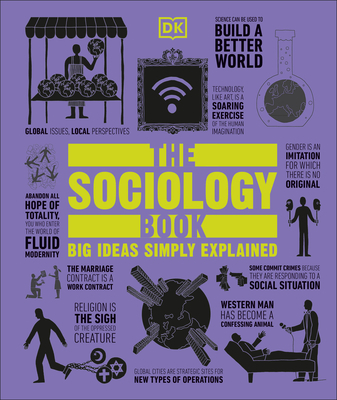 The Sociology Book is part of the award-winning Big Ideas Simply Explained series, designed to distill big ideas and elusive theories into graspable, memorable concepts, using an approachable graphic treatment and creative typography.